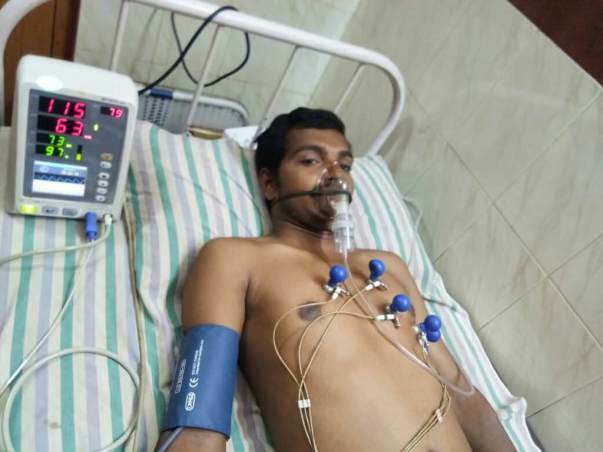 Muni Naresh has blockages in the arteries of his lungs – which has damaged his heart and lungs. He needs a heart and lung transplant a the earliest. The sole breadwinner of his family, he has not been able to work for the last 10 months. 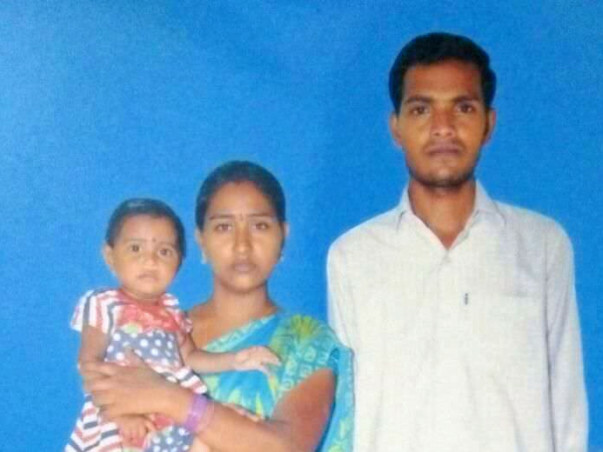 He needs urgent help getting better to care for his family. 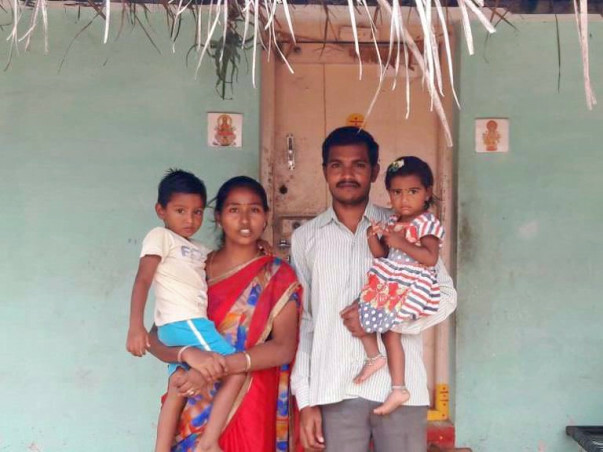 Naresh grew up in a small village near Tirupati – Mangalampeta. He saw his parents struggle every day – working as daily-wage workers. He resisted taking the easy way out and finished his education. He learnt accounting and got a job as an accountant in his village. He got married and had two children and in taking care of everyone's daily needs, he ignored the pain in his chest and his difficulty breathing. For three years, he took medicines prescribed by the doctor to ease his breathing, but they were not very effective and his condition did not improve. Finally, in December 2016, his condition became too bad to continue. He used to have a constant headache and became unable to do everyday activities like walking and lifting things. Worried, he went to Hyderabad to see a doctor in a bigger hospital. “When I went to Hyderabad they told me that my condition was incurable and I needed new lungs and a heart, my first thought was of my family. What would my old parents, wife and small children do without me? What could I do to stop this from happening?". 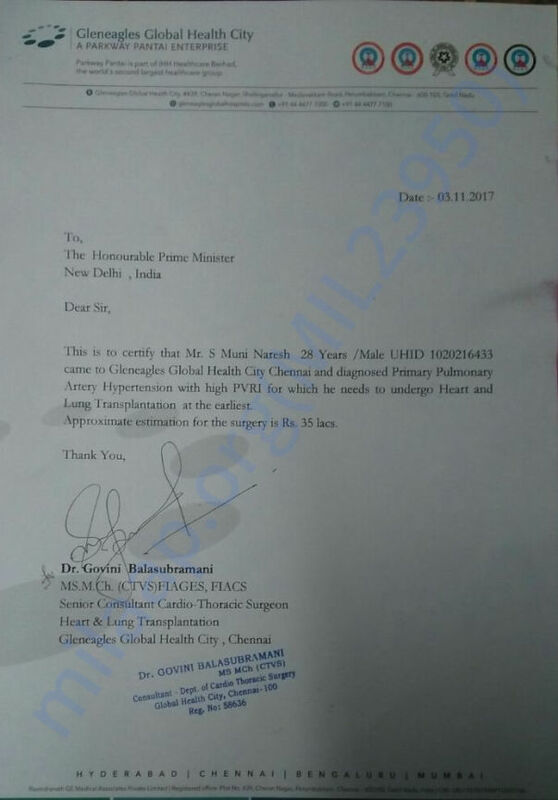 Naresh's transplant is expected to cost Rs 35 lakhs. It is an amount he can never hope to put together. Even after applying for government support – only Rs 12 lakhs have been waived off. He is expected to put together Rs 22 lakhs on own. It is not something Naresh can manage. 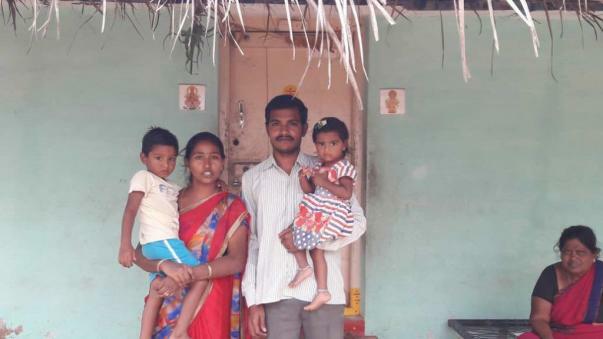 When he had a job, Naresh earned Rs 12,000. But now, for months, there has been no income. Just to stay alive, he needs medicines worth Rs 12,500 every month. His savings are gone and he has spent over Rs 4 lakhs for treatment till now. He has nothing left to even meet the family's basic needs. “Everytime I start to get scared and feel like I should give up, my parents, my wife and even my 4-year-old son tells me to be strong. Especially when my son says that such talk scares him and makes him cry – I realise that I need to do my best till the end,” Naresh says. Naresh has spent all his money on his medication and now without a job he is finding it very difficult to pay for his treatment. 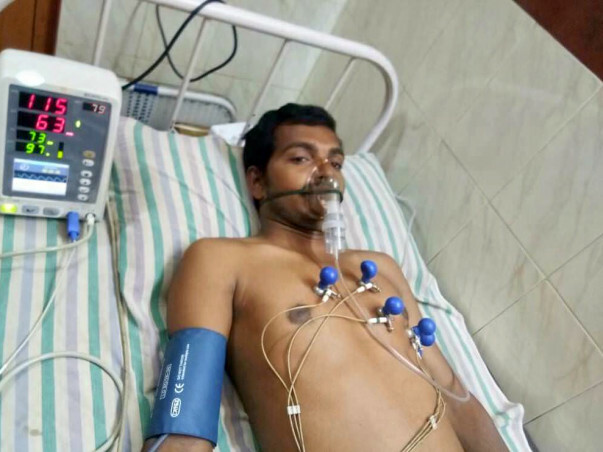 Your contribution can help Naresh get the treatment he deserves so that he can get better. We apologies for the delayed update. Naresh is still struggling with his health, He is having breathing problems because of which he always needs support whenever he needs to walk. He's spending around 13,400 every month on medicines, which he's arranging somehow because at present there is no source of income. His father is a labourer and he's taking care of Naresh's family. Doctors have suggested that he needs to have the transplants before this year ends. Naresh is in need of your support more than ever, we request to please share this campaign with your family and friends and pray for him.